Take your time. What attracts you about this bloom? Look at the flower from different angles. Stand back, then get up close. Walk around the flower. Often, a low angle offers a unique perspective. Don't worry about nipping the tips off the petals. Filling the frame can create a strong image. Consider the light. A sunny day isn't always the best scenario. Sometimes a cloudy day can make the color pop. Look at lighting from the front, sides and back, but be sure your own shadow doesn't get in the way. Many photographers prefer taking pictures of flowers during the morning and evening, when the light is softer. Most avoid the harsh light of mid-day. 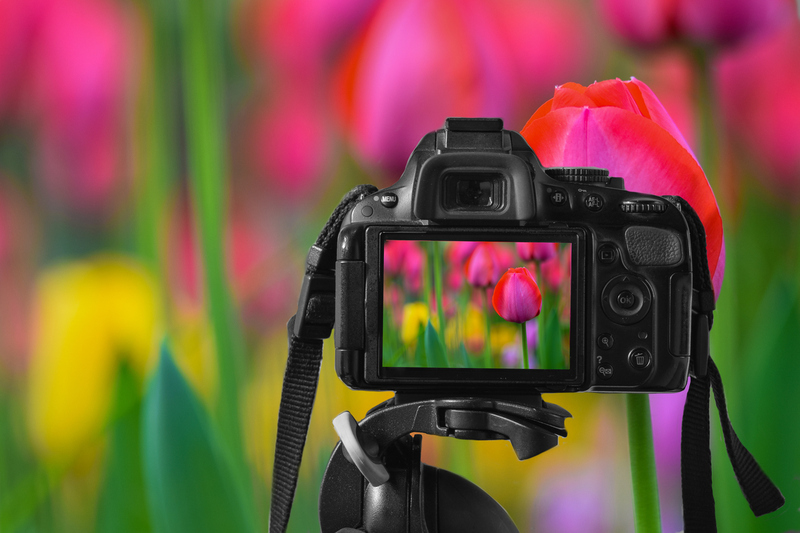 Hold your camera steady when photographing flowers. This may sound like a no-brainer, but it's easy to jiggle the camera without realizing it. Relax and don't hold your breath. A tripod may help you get the perfect picture. Don't let the rain stop you. Just imagine the creativity involved in photographing flowers with shimmering, sparkling droplets of rain or dew on the petals. If no rain is in the forecast, mist from a spray bottle can provide the same effect. Don't shoo the bugs away. Bees, bugs, butterflies and hummingbirds are at home in the garden, and they add tremendous interest to flower photography. Take care of your back and knees. 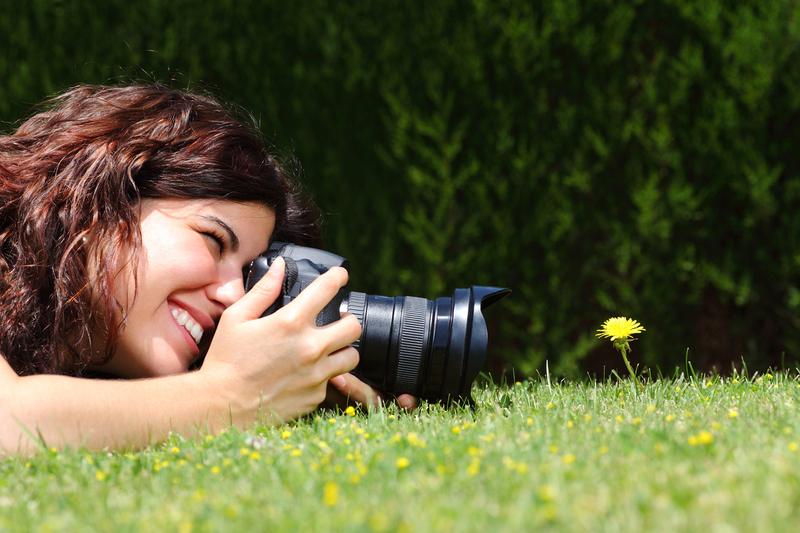 Some flowers are low to the ground, so be careful when you're photographing flowers from that vantage point. You may want to take a cushion or a plastic bag to keep your knees dry. For some shots, a kneeling bench may be just the thing.